Ever wake up after a refreshing eight-hour sleep with under eye bags and dark circles that look as though you rolled in at 3am with a little less than 4 hours sleep? If this isn’t you on a daily basis, consider yourself genetically blessed! Although minimal sleep can contribute to the purple hue under our eyes, things such as genetics, pigmentation, allergies and thinning skin can all be contributing factors. We can all dream about those dreaded bags and dark circles banishing for good but in the meantime, here’s a few tips on how you can say bye-bye to tired eyes! If you invest in a good eye cream that specifically targets dark circles, you’ll for sure see some positive results. 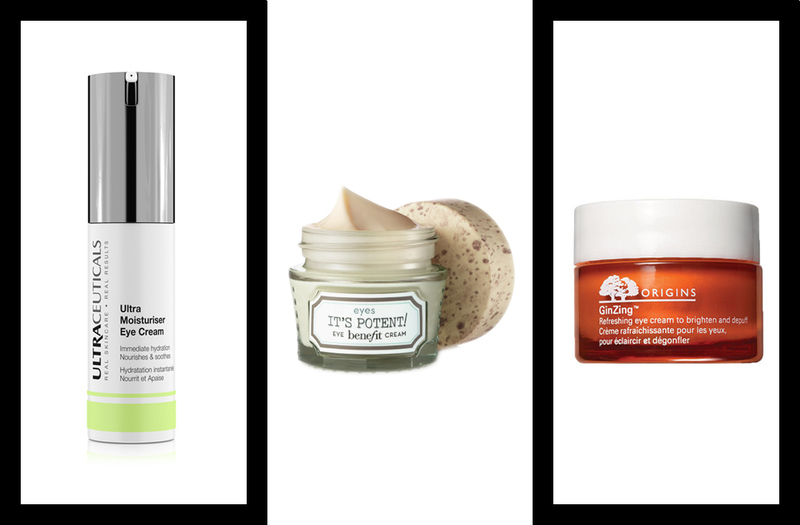 Thanks to high-tech ingredients here are some eye creams that can constrict blood vessels (the culprits to blame for dark hues) and brighten pigmented areas for a major improvement on those dark circles and their appearance. Hot tip: try storing your eye cream in the fridge, this is another way to soothe puffy eyes! Ultra Moisturiser Eye Cream: Light weight and soothing, this Ultraceuticals gem works to mimic moisturising agents to help promote long lasting hydration. Containing their signature blend, it’s your daily defense for the delicate eye area. Benefit It’s Potent Eye Cream: treats dark circles and fine lines, brightening the eye area - so, everything we want in an eye cream, right? Origins GinZing Refreshing Eye Cream to Brighten and Depuff: containing caffeine, this eye cream will give your puffy eyes that much-needed boost of circulation. If you’re pushed for time and your need your bags diminished in a flash, use a rollerball or a product with a massage applicator to help soothe and cool some of the puffiness away. Clinique All About Eyes Serum De-Puffing Eye Massage: an instantly cooling rollerball that helps massage away bags, refreshes and hydrates puffy eyes on contact. 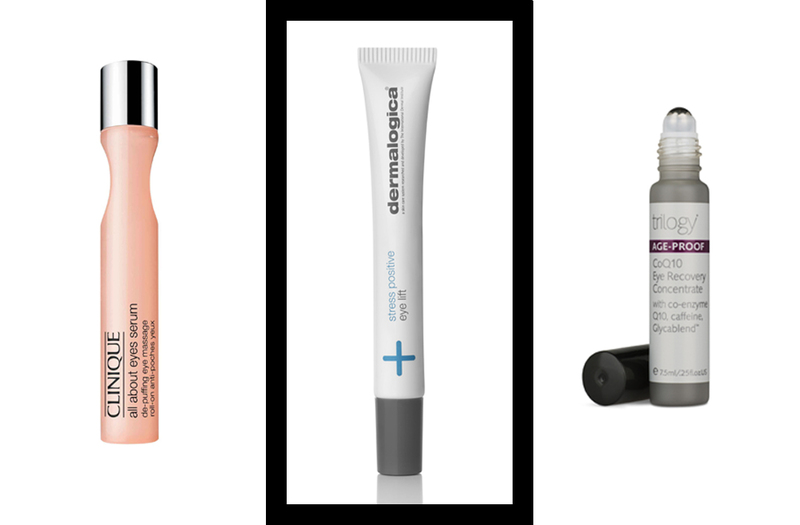 Stress Positive Eye Lift: Dermalogica’s eye treatment is a dream for eyes. Reducing the appearance of puffiness and dark circles, you can see an instant brightening of the eye area. The cooling massage applicator is perfect after a long day…or for the morning after. Age-Proof CoQ10 Eye Recovery Concentrate: relatively new to the market, this Trilogy product produces energy at the cellular level to strengthen and revitalize the skin. It boosts collagen and elastin production. It also has the bonus of caffeine which stimulates microcirculation, which regulates blood flow in capillaries which helps diminish dark circles and puffiness. Best of all, the steel applicator is super soothing. If you don’t want to invest in eye products, there are some affordable at-home remedies that can help do the trick when it comes to our under-eye baggage. Here are some tips you need to try at home! Tea bags: this old wives tale works! Brew tea and let tea bags cool in the fridge before placing them on your eyes, apply to clean eyes, sit back and relax for 10-15 minutes. Cucumber Slices: apply to eyes for 10-15 minutes and enjoy the relaxation. Due to anti-inflammatory properties, cucumber slices reduce puffiness and with added skin-lightening properties, eyes are left brighter and de-puffed just in time for you to take on the day. Turmeric and Rosewater: we all know that turmeric is the best when it comes to natural anti-inflammatories, it seriously works as a de-puffer too. Rosewater is soothing and calming to the delicate eye area, forming the perfect duo. On a large cotton pad, simply sprinkle some turmeric mixed with rosewater, place over the eyes for 10-15 minutes followed by your everyday skincare routine. Don’t let dark circles darken your day! Although dark circles and overall eye puffiness can really dampen your mood when it comes to overall appearance, luckily, concealer is a thing for a reason, right? Here are some of the best concealers that work to camouflage dark circles, shadows and discolouration for a seamless, natural looking finish. With your fingertip, simply dab onto the areas that need concealed and pat to blend. Benefit Boi-ing Brightening Concealer: Tired eyes? No more. This concealer offers brightening pink undertones to colour correct those unwanted under-eye circles. 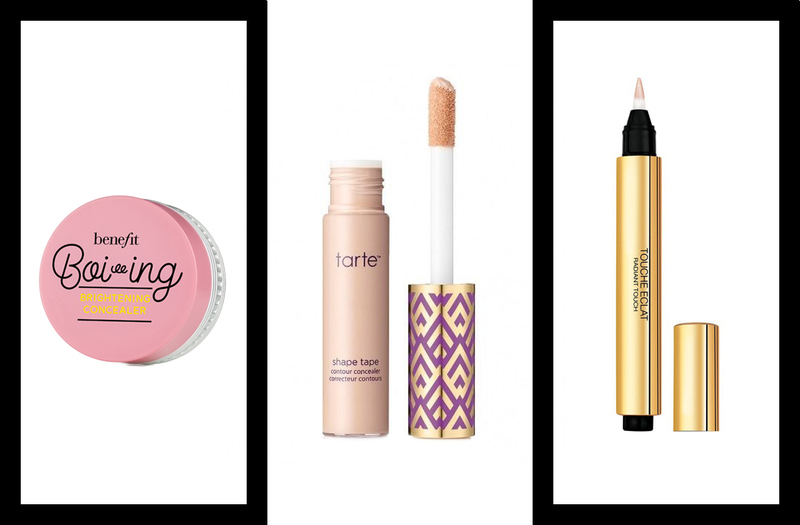 Tarte Shape Tape: beauty gurus love this stuff and so will you! Described as “facetune in a bottle”, you can’t go wrong! Yves Saint Laurent Touche Eclat: dull eyes won’t be an issue for you if this little pen has anything to do with it, a brightening concealer that promises eight hours sleep with the click of a pen, what more could you want?